We here at Cracked know a thing or two thousand about social anxiety. 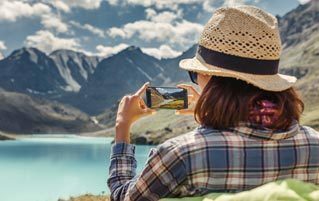 So if you find your face pressed to your phone, reading this column purely in an attempt to avoid conversation with the people around you, know that we sympathize. But you should also know that we have some products in the Cracked Dispensary and the Cracked Store that can probably help you. You don't need to be eloquent to be a charmer. Case in point: Groot. With just three words, he wooed the entire galaxy. And because love for Groot is universal (at least, for the current version), you can too. Just wear this shirt, give anyone you meet the old "I am Groot," and allow social inertia to take care of the rest. 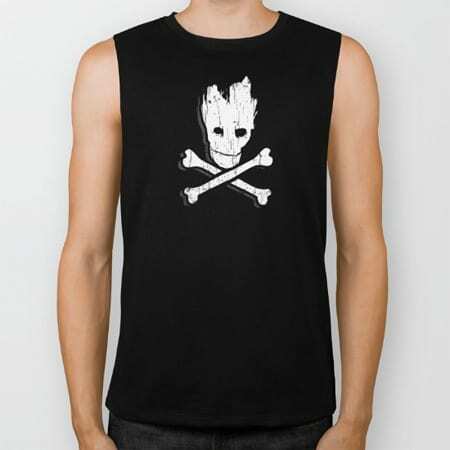 On the off-chance you meet some heartless creature who somehow doesn't love Groot, just point out that this Groot is presented in the classic skull and crossbones style, which clearly means that he's dead. 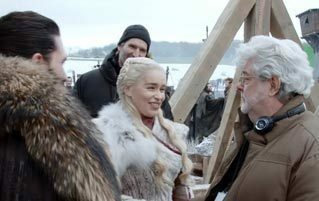 The best way to make an instant connection with someone is bonding over your shared belief in a massive conspiracy. 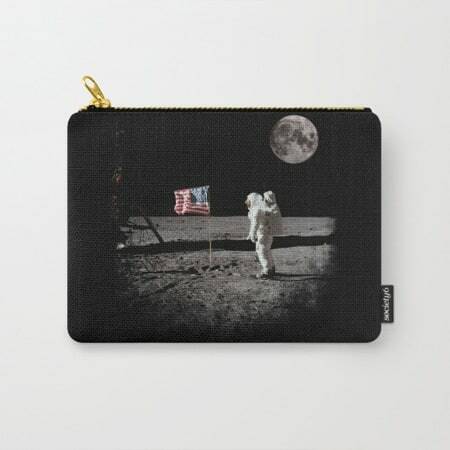 Since we don't have any "who really killed JFK" backpacks, this fake moon landing carry-all pouch will have to do. You'll talk with your new buddies for hours about how the flag shouldn't be able to blow in the wind and how the lunar module should have left a crater upon impact. If that doesn't get them immediately hooked, point out that there's clearly a moon in the sky ... above the moon depicted in the scene. You'll have made a friend for life. Though you'll never know their real name, because you cannot be trusted. There is nobody cooler, in social settings or otherwise, than Indiana Jones. The fact that he's probably broken the law a few times shouldn't deter you from channeling your inner Indy. 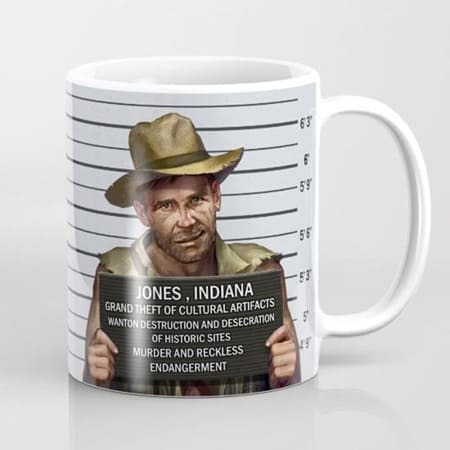 In fact, an Indiana Jones mugshot should actually enhance it. Start your morning with a cup o' joe, and remind yourself that if Indiana Jones can flee giant boulders and poisonous darts without losing his head, then surely you can handle a work meeting with Bob from the tech department. Just don't fill the mug with snakes. Jonesy hates that. This futuristic lighter is basically the closest you're ever going to get to owning a lightsaber. You can light anything, anywhere with the electric plasma beam, and you'll really impress once you flip this puppy over and start lighting things upside-down. But our favorite thing about it has to be that it's TSA-approved, which by their logic makes it safer than most water bottles. At the very least, your dad isn't going to chop your hand off with it. Get it now -- the Saberlight Rechargeable Plasma Lighter is $15.95, reduced from $99.99. Swiss army knives are known for having a tool for any situation, and this pocket-sized katana is no exception. Made from high-grade titanium with a stainless steel blade that stays rust-free, you can rest assured that your knife will always cut smoothly and your Kill Bill references will always stay plentiful. And if owning a mini Hattori Hanzo isn't enough to make you feel like a badass wherever you go, then nothing on this planet will. Get it now -- this samurai utility knife is $29.99, lowered from $39.99. Earbuds are the most powerful tool in the arsenal of the socially anxious. Simply by wearing them, you can signal to the world "Please, for the love of god, I want to be left alone" without burning bridges or renting out ad space on a local billboard. Best of all, these earbuds are weatherproof, meaning you can chill out in a bubble of isolation wherever you go. Combine it (playing the Kill Bill creepy siren music) with the Hattori Hanzo knife, and your entire universe just got ten times more awesome. Get it now. Usually $119.95, these magnetic Bluetooth earbuds are $29.95. We'll admit, it's going to take more than a flashlight on a key chain to reinvigorate your social life, but we will say that this miniature LED flashlight blows your smartphone's out of the water. Will that keep you from quoting Seinfeld bits far past the point of being conventionally acceptable? Probably not. But it will definitely help save your phone's precious battery life for looking them up. Get it now -- this Nano Torch is $14.99, lowered from $19.99. Where do I go to get more awesome stuff? You can find all this and more by taking a trip on over to the Cracked Dispensary and the Cracked Store. You can also scroll up and click the links to purchase their corresponding products. 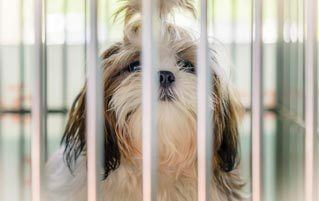 In the meantime, if you're still at a party that you desperately want to leave, might we suggest standing up abruptly and proclaiming in your most serious voice "He has arrived ... the prophecy has begun," and then running out the door? It never fails.